Imagine waking up one morning to find a red spray-painted symbol on the front of your house identifying you as a Christian. The Arabic letter “n”, for nasara (Nazarene, to indicate Christians), was recently painted on the homes of Christians in Mosul, Iraq by ISIS fighters. These marked homes became the property of Islamist's. ISIS gave the Christians an ultimatum: Convert to Islam, pay a tax, leave, or die. Persecution takes many forms; from being denied employment or housing, refusal of basic human services such as the right to purchase food, medicine, receive medical care or an education…to be being kidnapped, raped, tortured, imprisoned…and even murdered. It is easy to feel overwhelmed by the knowledge that so many of our Brothers and Sisters in Christ are facing such terrible persecution, but be assured that YOU CAN HELP! Don’t let another day pass without taking action to help your fellow Christians suffering persecution for their faith in Jesus. Prayer is the foundation of our mission plan. Our first and most effective way of helping persecuted Christians is to COMMIT to pray for them. The most common request persecuted Christians make is “PRAY FOR US!”. 1) Pray in general, each day, for all the Christians being persecuted around the world. 2) Select a profiled Christian who is suffering persecution from the “Missions” bulletin board at church, and commit to pray for them. The information contained in their profile will allow you to pray specific, targeted prayers for their unique situation and to pray for them by name. 3) Online, go to icommittopray.com to view additional profiles and select a specific individual to commit to pray for from the website. 4) Download the Prayer Commitment “App” onto your smart phone to access names and prayer needs of martyrs throughout the world. Information about the “App” can be found on the “Missions” bulletin board. 5) Pray for those who persecute! There are many testimonies of those who formerly persecuted Christians accepting Jesus as their Lord and Savior. Pray that their hearts be softened and for the Gospel message to reach them! 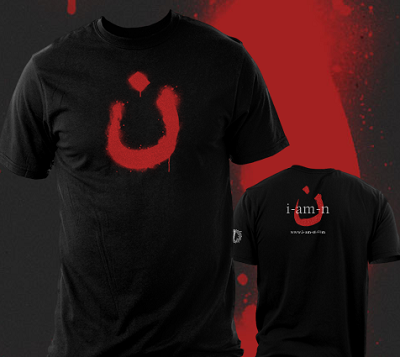 T-shirts and wrist bands emblazoned with the symbol “n” for Christian that was recently painted on the homes of Christians by ISIS in Mosul, Iraq, make a powerful statement. Putting together “Action Packs” of basic necessities such as bars of soap, towels, sheets, toothbrushes, etc., to be distributed to Christians in Sudan, Pakistan and Iraq. Letter writing campaign to prisoners being held because of their faith, giving them Biblical-based encouragement. Letter writing to government officials requesting the release of prisoners, asking for better treatment, and letting them know that the world is watching. Heart of the Hills will join in the campaign to fund the purchase of Bibles for those Christians around the world who are desperately hungry for the Word of God. We will join together to help fund a Front Line Worker; the brave Christians who run covert operations and risk their own safety and freedom to bring Bibles, medical supplies and Action Packs to Christians who are in desperate situations.